The Voice is the bi-monthly newspaper of our Parish. It contains a variety of uplifting spiritual articles, news and information about our community.  It serves as a vehicle capturing for posterity the important events and people that impact Holy Trinity and the Greek Community of the Charlotte Region. Submit articles and pictures for publication, use ARTICLE in the subject line. Receive information on advertising or to submit an ad, use ADS in the subject line. Ask questions about articles, or to submit a letter to the editor, use EDITOR in the subject line. Deadline dates for submitting articles, pictures, and advertisements are posted on Page 2 of each issue. Most contributors and editors communicate via email. The editor will call for meetings as necessary. > Weekly Volunteer Schedule for Narthex, Altar Boys, Welcoming Committee, etc. The goal of the Website ministry is to help administer the Holy Trinity website and help ministries/committees with their Internet needs.